Last week I put in a big order for frames, to get all my recent work ready to show. Included will be all my ‘A Year on Fingringhoe Wick’ paintings up to August, (except January, which has already sold), three Ridgeway paintings – II, III and IV (not the first one as it has already sold), two or possibly three dinghies, and I still have just four of the Essex Wood paintings left – February, March, June and December. I’m getting stocked up with other goodies, too. 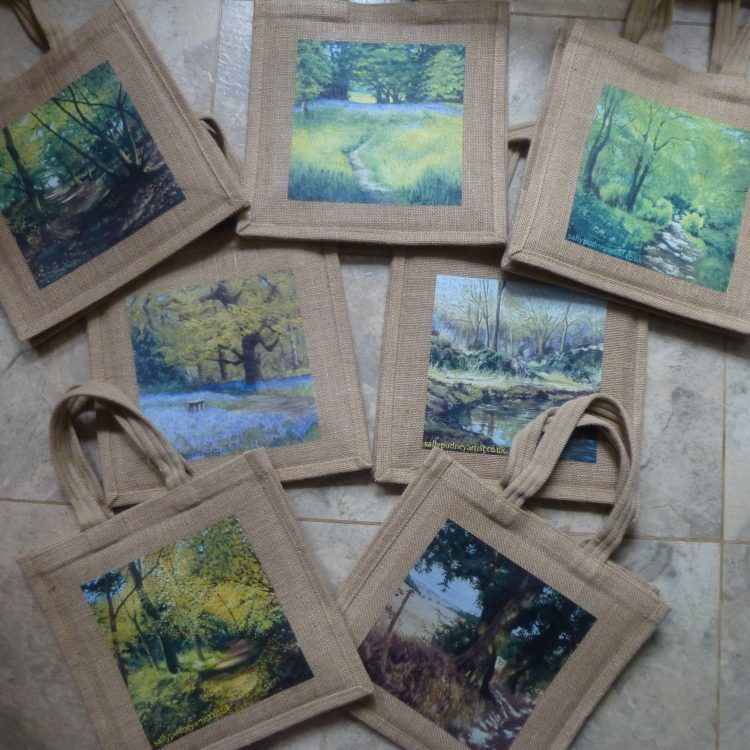 The jute bags were very popular at my last ARTSTUFF stall – I only had one left – so I’ve ordered a lot more of those, each featuring a different month from the Essex Wood project. Cute as well as useful! 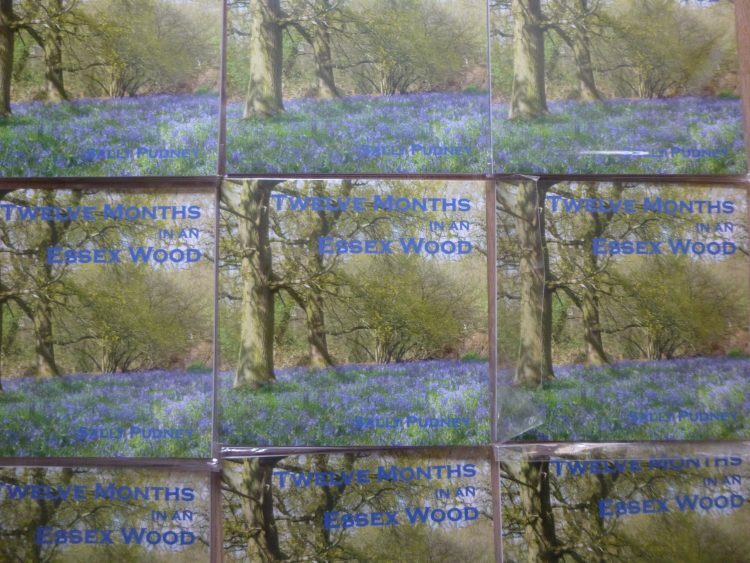 I almost sold out of the ‘Twelve Months in an Essex Wood’ books at Lexden Arts Festival in May, so I ordered a lot more of those. 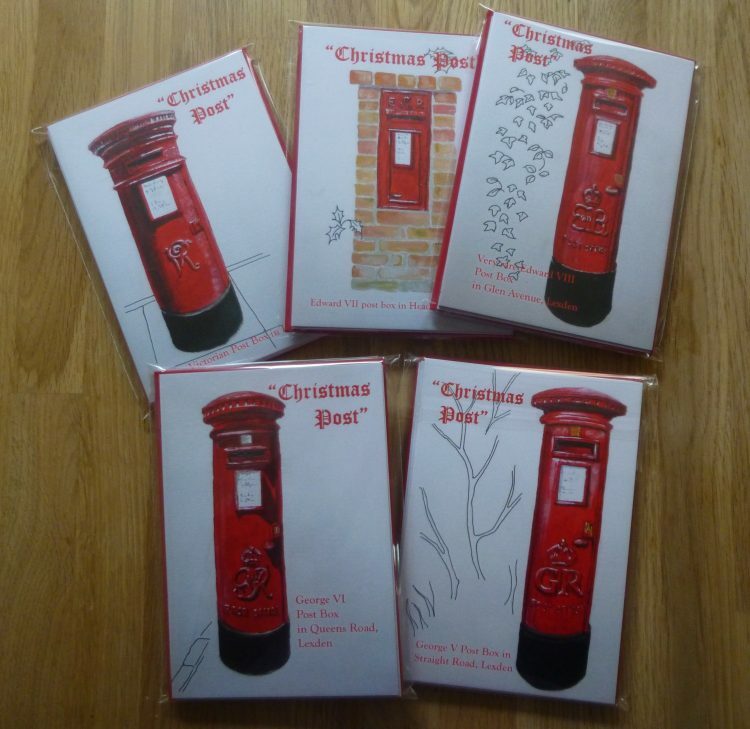 Last year at Open Studios I kept being asked for the Post box Christmas cards which I did in 2015, and of course they had long since sold out, so I ordered some more of these. There are five different designs, and they are in packs of five, with one card of each design, and red envelopes. 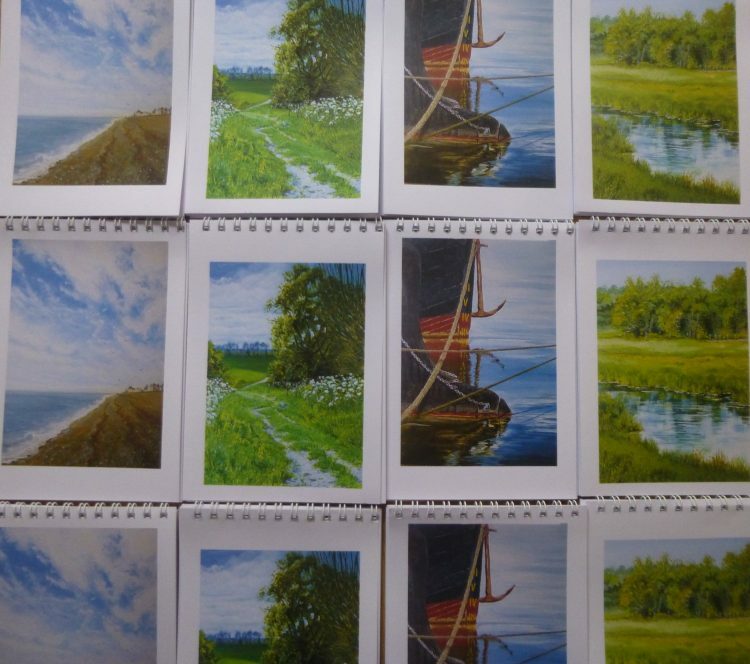 One of the new little things this year will be A6 spiral bound notebooks. These are the designs so far, but I’m hoping to do a few more designs, too.